Over the past few days, Tinco Lycklama has been traveling the countryside on his way from Tabriz to Tehran. Tinco briefly halted at Turkmenchay. That was slightly disappointing. In February 1828, this town was the site of an historical agreement between the Russian general Ivan Paskevich (1782-1856) and the Persian heir to the Qajar throne, Abbas Mirza (1789-1833). This agreement settled (to this day) the border between Russia and Persia on the Aras river (which Tinco crossed a few weeks ago when he first set foot on Persian soil). However, Turkmenchay was nothing more than a big village with nothing interesting to show to a curious traveler like Tinco. The next stop was Mianeh. 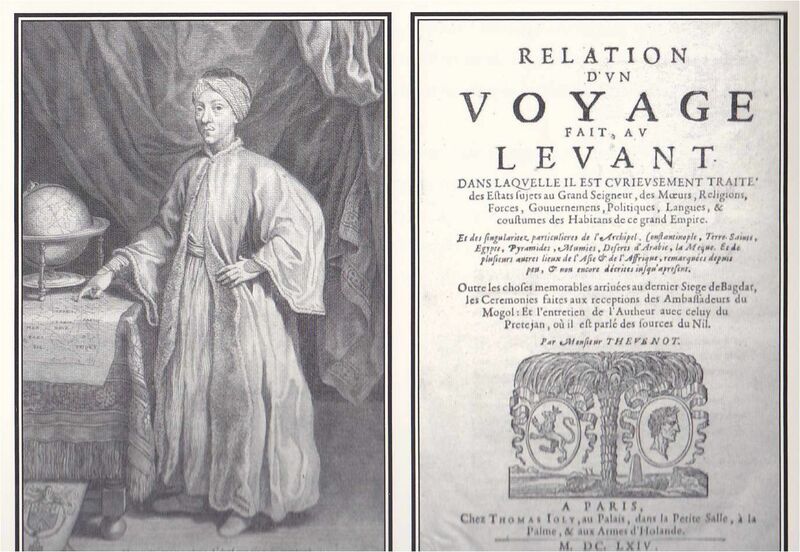 He didn’t have high hopes for his visit but, in a sense, he had to halt here to pay his respects to Jean Thévenot (1633-1667) – one of his great examples who traveled and described Persia two centuries earlier. Indeed, it was in Manieh that Thévénot died, on his way from Isfahan to Tabriz. It is reported that he is buried here, but his tomb has never been found. Yesterday, April 26, Tinco reached Zanjan, where he spent the night. This ancient town held far more interesting things to see than Tinco did on his Persian travel so far. For one, he visited the palace built by Fath Ali Shah (1772-1834), the second Qajar king. The palace was out of order now, but only recently (in 1840) it had also housed the French delegation to Tehran under comte de Sarcey et marquis de la Valette, and in 1850 it was the baron Minutillo, the Prussian envoy, who stayed in the palace. The closer he was getting to Tehran, the closer Tinco sensed the presence of the ruling Qajar dynasty. But, it is another aspect of Zanjan that captures Tinco’s attention: the Bábism religion (1844-1852). Tinco’s devotes many pages to this phenomenon. This is of considerable interest, as he is one of only very few westerners that have written about the events that took place in 1850-1851, in particular in Zanjan – on the basis of eyewitness reports. One of the leaders of the Bábi movement, Mullá Muḥammad-‘Aliy-i-Zanjání (1812-1851, also nicknamed “Hujjat“), had taken refuge in Zanjan – but he and his followers (and thousands of inhabitants) were totally massacred. 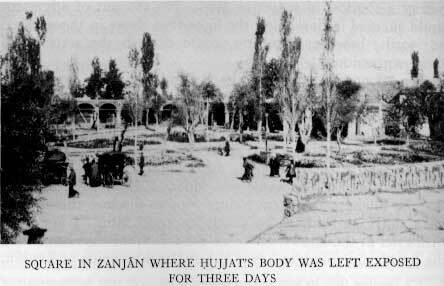 The events at Zanjan marked the beginning of the end of Bábism, and Tinco has described these events faithfully after interviewing many survivors. (The population has a tendency for joking and sarcasm. The author of Ssour-al-iqalim (Description of the regions) accuses them of insouciance and laziness). This remark is particularly interesting as a recent report by ISNA (the “Iranian Students News Agency“) in 2013 suggests that the people of Zanjan have the highest level of happiness amongst the thirty provinces that constitute modern Iran. Today, Tinco is reaching Sultanieh. It will be just an overnight stop – but not without importance. It was just a village in ruins but, once upon a time, Sultanieh had been the capital of Mongol Persia. Under shah Mohammad Khodabanda (1532-1596), who adopted shi’a islam for Persia, it was also the capital of the Safavid dynasty, until the shah’s son Abbas the Great (1571-1629) overthrew his father and moved the capital to Isfahan. By traveling these roads and seeing so many ruins, where critical events took place across many centuries, Tinco gets a strong sense for the impact that these events have had for the whole region – and beyond.